So you made up your mind and you are coming to Brazil. Soon you will find yourself in one of the most spectacular cities of the world. The city has a lot to offer. It seems there is no where you look that you won't find a nice angle for your next picture. 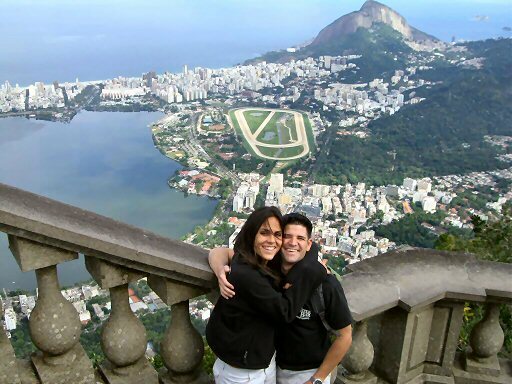 Going up Sugar Loaf Mountain (Pao de Acucar) is one of the best ways to enjoy the city from where you get an amazing 360-degree view of Guanabara Bay and Rio itself. Far on the other side of the Bay, you will see the Rio-Niteroi Bridge. There are the famous beaches of Copacabana and Ipanema, the old part of the city, aterro do Flamengo, Maracana Stadium. It is hard to tell which view of Rio is better. To see it from above some say the Sugar Loaf is the best point, others say one of the "New 7 Wonders of the World" Christ the Redeemer is just the place. Take both you won't regret the experience, then let us know. I friend of mine from the US has just made that trip so asked her a couple of questions to give you a recent fresh feedback. Jackie Montesinos is a corporate communications manager for SAP Latin America in Miami. I first met her in the last edition of SAP forum in Brazil while she was working on the press program -- she was of great help for journalists in general. Turns out she loves Brazil and in fact is always travelling to Sao Paulo on business. I just learned she had been to Rio recently and so I asked her: "What did you visit? What was top for you? Were you afraid of anything? How were you treated at the airport here? Tell me your impressions, please." Brazil was great. 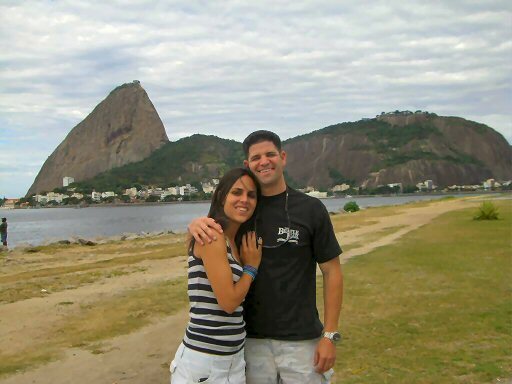 I've been to Rio several times before but it was the first time my husband came with me. (I love Sao Paulo also -- was there as well), but I go to Sao Paulo at least once a month. I definitely wasn't afraid of anything -- just bad weather!!! Wow, at the airport was very, very fast... it's always quick in Brazil. Last week, the Sao Paulo airport everyone was wearing masks (because of swine flu) but this week when we went, it was much better. My favorite part of the trip is definitely Saturday night - Rio Scenarium!! This is the best place I have ever been to. It is so lively, the music is fantastic, the band, the samba -- I just can't get enough. It was my favorite part for sure... it was even better than the concorvado!! Although the Concorvado is amazing... I have been there three times and every time I go, it takes my breath away. I am amazed how in Rio from almost anywhere you are, you can see that beautiful Cristo overlooking the city..it's absolutely wonderful. I also loved Jardim Botanico! I had never been there before and it was really really nice and, of course, one of the best parts of Rio -- Feijoada on Saturday!!!!! It is amazing... and Sunday we went to Ipanema beach and walked around, including to the Apoador, which was lovely because the weather was so so nice. What I also love about Rio is that there are so many dogs... everywhere you go, there are people outside and with a dog on a leash. And I absolutely love animals. But OK Rio has a lot to offer, but what makes Brazil worth the 8 hour flight from Miami are the people. I have never met people so friendly, nice and full of joy. Traveling the past 2 years all over Latin America, there is no other place with people that I truly enjoy to be around than Brazilians -- they can be paulistas, cariocas -- whatever -- if they are Brazilian, in a short time, they've won a place in my heart because they are special. 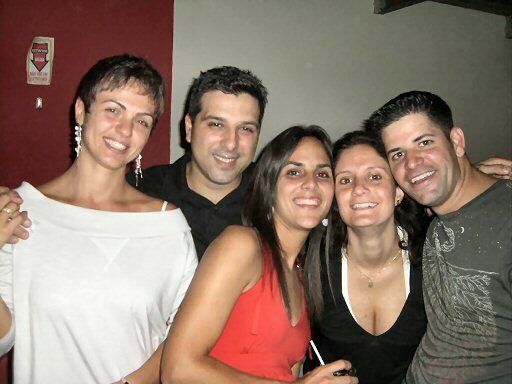 Friends from Brazil - Brazilians are really very welcome. Well, now it is your turn. What are you waiting for? Are your bags ready?